Helios and Matheson: I’ve seen this movie before, and it ends badly ! I remember one of my first jobs out of college. It was as a small-cap equity analyst. This was the holy grail for me since childhood. Most kids played sports during their leisure time, but I read stock charts like an astrologist reads the night sky. My supervisor was a certified financial analyst and I quickly took to the mentor-mentee relationship. However, the bromance ended quickly. I slowly learned, through circumstantial evidence and mystery envelopes found on my desk, that my employer was a pump & dump broker. Back then, they were called boiler rooms – go see the movie. As I slowly peeled that onion, I eventually realized that my employer was rotten at its core. My employer’s modus operandi was selling shares of “story stocks” to innocent investors. Think of your sweet grandma and frail granddaddy – they were the “total addressable market” for selling penny shares to. The shares typically rose initially, which brought in even more investors that had FOMO (fears of missing out). After 6 months, the shares then plummeted, typically declining over 90%. When investors called to sell, the brokers’ lines suddenly went silent. There are several ways boiler rooms profit from penny stocks including brokerage fees, etc. but the largest method is by having “relationship entities” and/or insiders owning a large proportion of the company. Their shares are then sold during an IPO or run-up in shares of already public companies. 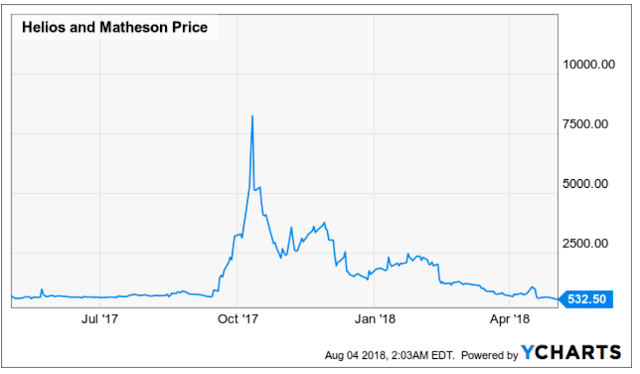 My friends, Helios and Matheson Analytics (HMNY) reminds me of those days though the company may not be part of a calculated pump & dump scheme. As a reminder, HMNY is the 92% owner of MoviePass, having initially invested $27MM in August 2017 (for a total sum of $72MM as of Dec 2017). I was introduced to MoviePass last fall when my sister-in-law ranted & raved that it was the greatest thing since sliced bread (just $10/month). My dollar-wise wife surprised me by purchasing an annual contract, which further reduced the cost to $7/month. I recently pored through several critical Seeking Alpha articles; most authors have calculated how unprofitable the business model is. It usually goes something like this: HMNY pays full price for tickets but its MoviePass customers (depending on how many times they go to the theater) pay less, so HMNY is losing money. My response to you is – not all management is stupid. HMNY’s management team can clearly see that losses are rising as subscribers grow. If the business model made them the next Netflix, so be it. But that may not have been their intention. Management and insiders benefited when their shares (received through stock awards) rose or from company fees given to them. The Netflix shtick was the story that MoviePass CEO Mitch Lowe was hoping could elevate HMNY’s share price. Insider Muralikrishna Gadiyaram, for example, received shares which he later sold at a lofty $13/share (pre-reverse split) on November 2017 according to SEC Form 4. The stock chart below is for the 1YR time period of May 2017 and May 2018 (post reverse-split prices). The history of his beneficial ownership of HMNY can be found here. Gadiyaram also receives consulting fees on an ongoing basis, according to Item 13 and Note 18 of the recent Annual Report. a) Small Size: HMNY’s revenues were just $10.4MM in FY’17, according to the Annual Report. b) Name changes: There have been several name changes of related entities. Helios and Matheson Analytics (aka “HMNY”), the subject of this article, was originally called “A Consulting Team” (and publicly traded on the NASDAQ). It changed its name to Helios and Matheson North America in 2007. Its name was changed to Helios and Matheson Technology Inc. in 2011. In 2013, it changed its name to the current Helios and Matheson Analytics. Note that during 2011 and 2012, the company’s name was identical to that of its Indian parent – Helios and Matheson Technology Inc. (HMIT) Confused? c) HMNY is controlled by dubious insiders: Its parent company, HMIT controlled approximately 75% of HMNY until November 2016 when HMNY merged with Zone Technologies (controlled by then CEO Ted Farnsworth). After the merger, Farnsworth and HMIT owned 59% of HMNY. According to Bloomberg, Farnsworth was involved with penny stocks – three companies he led had shares decline 99% despite his (overly) ambitious plans. a. MoviePass CEO Mitch Lowe also has penny-stock experience as a director of Medbox, which was sued for fraud by the SEC in 2016. There is also a controversy of whether Lowe overstated his experience as a “cofounder” of Netflix according to The Street Sweeper. I examined Netflix’s initial Form S-1 filed on April 2000 (really bad timing!) and while Lowe is not listed as one of the two cofounders, he was an executive at the company. b. HMNY insider Muralikrishna Gadiyaram (cofounder of HMIT), received a liquidation order by a court of India resulting from creditors’ claims against HMIT which is being accused of fraud. c. HMNY’s former chief technology officer, Parthasarathy Krishnan (who received large stock awards) was also an executive of HMIT and is also on the receiving end of the Indian court order according to Business Insider. d. Lastly, note that HMIT holds a $2MM security deposit for unused services to HMNY, of which it’s likely not to receive given the court order (source 10-k). d) Late filings: HMNY filed its Form 10-K for 2017 late. The 10-K for 2015 was amended to note that the proxy statement would be filed late. e) Transactions with related entities: As already mentioned, HMNY has conducted transactions with HMIT including consulting and other fees to controlling shareholders of HMIT. g) Misleading statements:. HMNY’s CEO Ted Farnsworth stated to Variety magazine during a May 2018 interview at Cannes that the company has an equity line of credit, alluding to what is more commonly called a committed Revolver. That is untrue, as I have not seen evidence in the quarterly or annual reports sent to the SEC. The SEC requires that all forms of liquidity, including both internal and external, be disclosed. The SEC rule can be found here. Farnsworth is also on the record saying that HMNY would be worth $1 billion once it reaches 2.5 million subscribers. As of this writing, Moviepass has over 3 million subs and its market cap is under $1 million. On April 2018, HMNY said it would get into the film studio business and acquired a stake in the John Gotti film (awful movie by the way). Besides lacking the funding to get into the craft of making films, the business rational was that MoviePass can “guarantee box office attendance”- Really?! 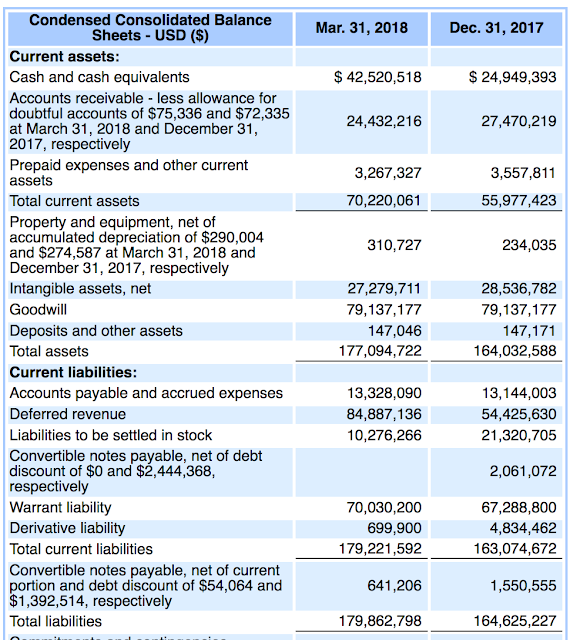 h) Weak accounting and governance (AGR):.. HMNY’s very own annual report for 2017 states that “Management has determined that the Company did not maintain effective internal control over financial reporting as of the period ended December 31, 2017 due to the existence of the following material weakness identified by management: Lack of Accounting Resources.” Further, the AGR research firm MSCI GMI Analyst rates the company “1”, its worst score. HMNY is not audited by a Big 4 accounting firm. Its auditor is Rosenberg Rich Baker Berman, P.A. Investors should avoid HMNY shares like a bad movie. The company recently took out a payday-like loan ($5 million) from a hedge fund that was repaid on August 5th 2018. The loan was necessary to “keep the lights on” as one would say. The company also has a $1.2Bn shelf offering filed with the SEC. 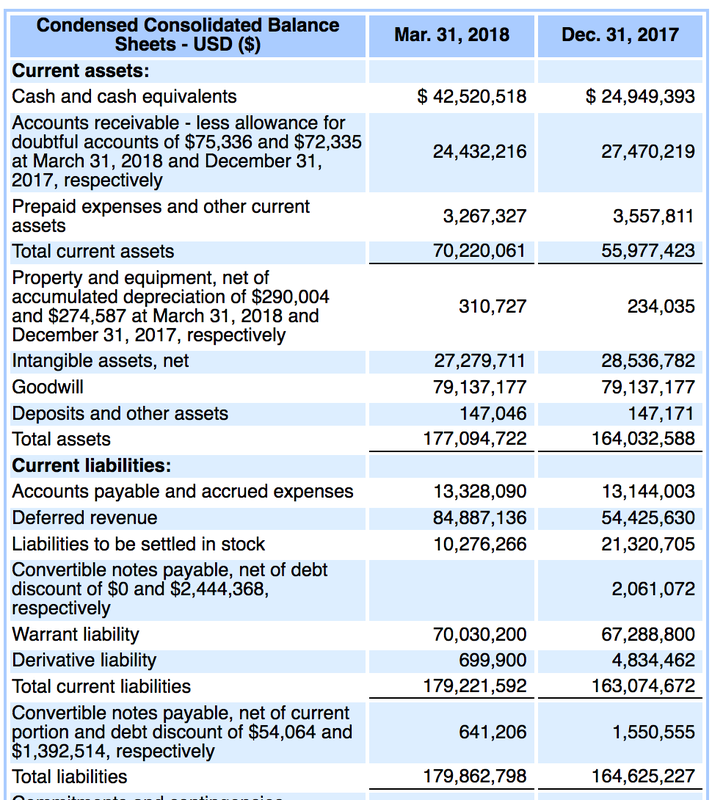 While this article is not focused on HMNY’s accounting, do note that HMNY is bleeding cash. 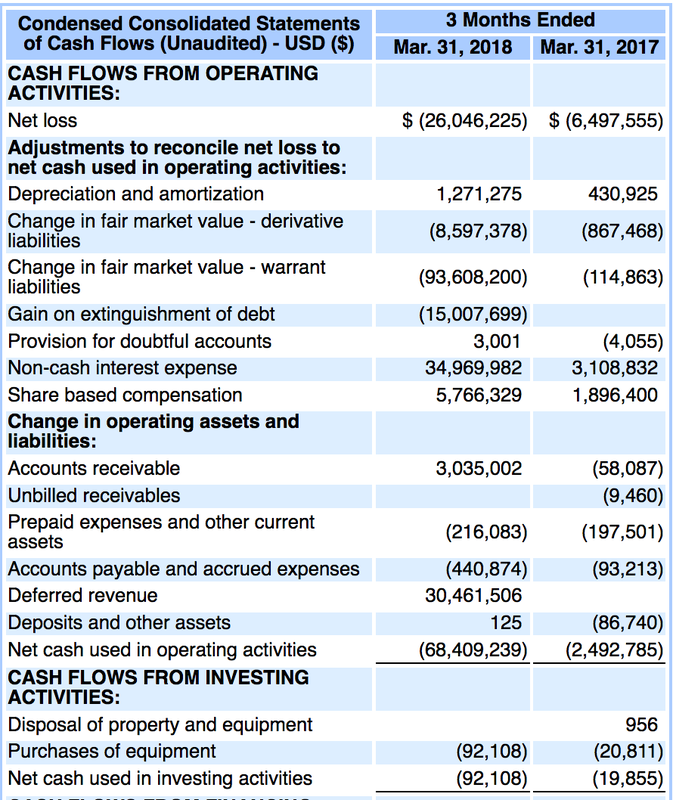 The company has just $14MM in unrestricted cash and reports $42.5MM on its balance sheet as of March 2018 (see table). Total Liabilities are greater than Total Assets which classifies the company as insolvent according to IRS rules. It is just a matter of time before the company files for bankruptcy given that it is insolvent and has a$68MM operating cash flow deficit. The $22MM/month deficit is greater than the $14MM in unrestricted cash. Management and its independent auditors said there is “substantial doubt” the company can continue in its recent Annual Report. Management is actively changing its subscription model (see next section) however, a turnaround appears to be a long-shot. July 31, 2018, HMNY said it would boost prices by about 50% so a membership would now cost $15/month, black-out first-run movies for the first two weeks of their release, continue charging “peak pricing”, make customers take photos of their tickets and additional tactics to improve cash flow. Just a week later, on August 6, 2018, the company changed its MoviePass pricing plan again saying it would now offer a monthly subscription of $9.95 and suspend peak pricing, ticket verification. It essentially reversed its July 31st announcement but now limits movies to just three month. 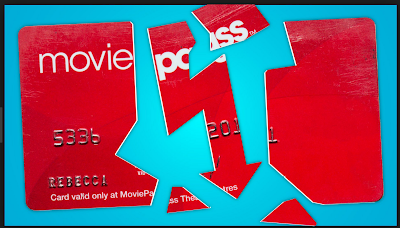 I believe the above changes in the MoviePass plan creates confusion and uncertainty among customers which will lead to higher churn and loss of goodwill. In September 2011, Netflix changed its subscription plan, losing 800,000 customers in the process. My wife, for example, has already switched to AMC’s competing plan, and while more expensive, there’s a peace to certainty. Under current listing rules, it is doubtful HMNY shares can stay on the NASDAQ given that they don’t fulfill most, if not all of the listing requirements including the minimum share price and $45MM market capitalization of public securities. As of this writing HMNY’s market capitalization was under $1MM. The point of this article wasn’t to debate HMNY’s business model or do a forensic accounting of financial shenanigans. Given my background in penny stocks, I wanted to show you how to avoid shoddy investments by using a qualitative common sense approach. Even if life-saving financing miraculously appears, an SEC investigation will likely ensue given the company’s shady history and misleading statements. Why bother with such nonsense when they’re many good fish in the Sea ? The approach above was created using the Mosaic Theory, as postulated by the CFA Institute. It is a method of analysis used by stock analysts to gather information about a corporation. It involves collecting public, non-public and non-material information about a company to determine the underlying value of its securities and to enable the analyst to make recommendations to clients based on that information (source: Investopedia). Homebuilders such as Toll Brothers say that investors don't care whether or not they're being socially responsible. However, several are moving in the direction of responsible corporations and CSR. I think SRI investors should consider these companies especially those that are manufacturing homes that are green-friendly and with renewable resources. Are Glassdoor reviews correlated with strong corporate performance? Glassdoor, one of my favorite tools in SRI/Impact Investing, has announced it will be taken over by Recruit Holdings for $1.2Bn. Recruit Holdings, thankfully, has said it will maintain Glassdoor (a California company founded 10 years ago) as an independent entity. It will utilize Glassdoor's tool in its recruiting work (which is headquartered in Japan). The Glassdoor story reminded me that it is such a powerful tool not only for job-hunting (as mentioned above) but to notice happy employees and their relationships with their employers. This is a key tool I use to detect employee satisfaction. I examine the company rating (1 worst through 5 Best) as well as a historical evolution and trends. Many of our readers are familiar with Glassdoor so I will leave it up to you to get to know their offerings. The key takeaway you should know is that reviews cannot be deleted. Sure, some companies arm-twist new employees to post rosy reviews, but historical reviews are not deleted. Other important rating measures includes the percentage of reviewers that approve of their CEO and the percentage that would recommend their employer to a friend. Companies with ratings of 4.0 (out of 5.0) and 80% and greater CEO approval have been noted to have stronger financial performance as well as better governance. It follows that stronger company performance should be at least indirectly tied to share price out-performance for those companies that are publicly-traded. There haven't been many studies in this area other than a recent study out of a UK business school. Now that Glassdoor's historical data is nearing the 10 year mark, it would be interesting if someone performed a global analysis of stock price performance versus Glassdoor ratings. Another idea would be to examine the performance of IPO (initial public offerings) based on their Glassdoor ratings as the company has many privately owned firms in its database. As a side-note, Glassdoor itself was talking to bankers recently about its own IPO before being swooped up. Last month Snap (the Snapchat app for teenagers) share price plunged over 20% in one day after releasing earnings and metrics that shows the company may be losing control of its business (Elon Musk take note ! ) If a prospective investor were to have examined Snap's Glassdoor ratings they would have at least thought twice before pulling the trigger given its lackluster ratings (see below). Can vegans eat this stuff ? Now that there may be lab-grown meat, the question is whether or not Vegans will feel compelled to eat such a product . 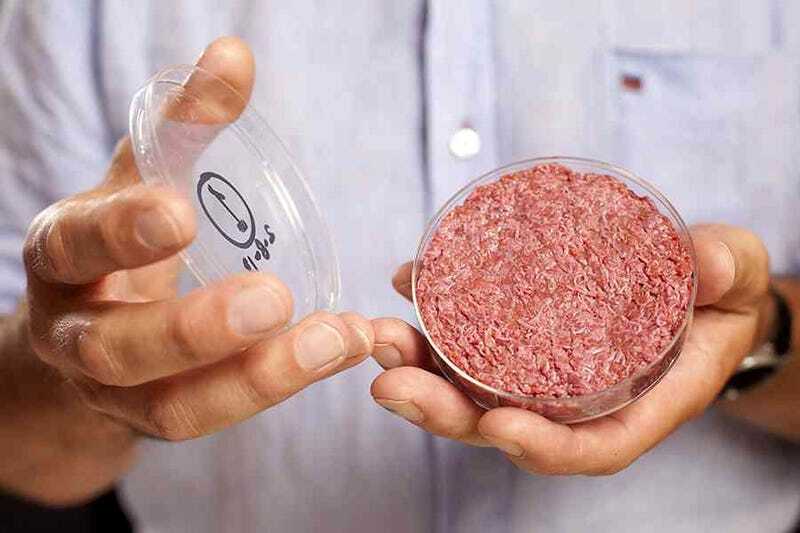 The lab-grown meat would still be as if one were actually eating real animal meat. Memphis Meats, an alternative meat startup, has recently finished a round of fundraising and they gained support from some big names. Major meat packer, Cargill was one of the contributors to the $17 million that the company obtained. 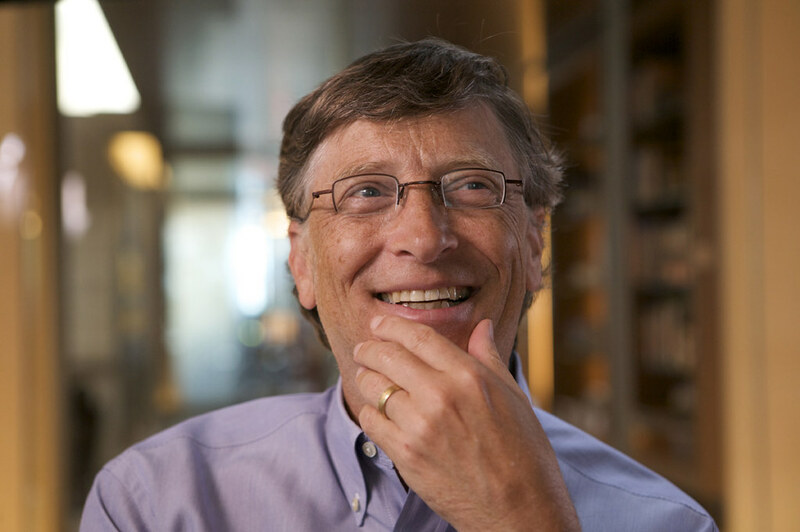 Alongside Cargill, Bill Gates and Richard Branson also chose to invest in the company. Memphis Meats are currently working on lab grown meats. This meat is grown in tanks from the cells of the animals that the meat traditionally comes from. These cells are then fed nutrients in order to grow muscle tissue which will then be consumed as meat. Although their product isn’t available on the market yet, they have successfully produced chicken, beef and duck. Startups like Memphis Meats aim to solve the world’s protein problem. Currently, the earth’s population are consuming more meat than is sustainable. Animal agriculture is devastating to the environment. As the earth’s population is set to increase until 2050, and the world’s appetite for meat continues to grow, this is presenting a huge problem. Many people have turned to a plant-based diet to tackle the issue, but for people who love the taste of meat, they can’t see this being an option. 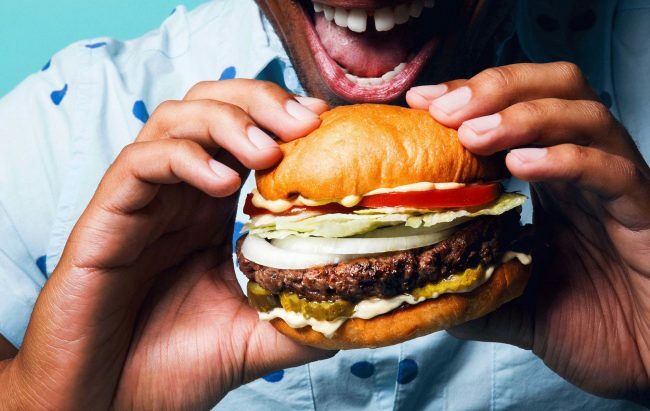 Companies Impossible Foods and Beyond Meat have both created burgers out of plants that are supposed to replicate ‘the real thing’. However, for some people Memphis Meats’ creations might be one step closer to the real thing as it is grown out of the same cells that can be found in the meat they currently buy. Cargill’s decision to invest in Memphis Meats, and ‘expand[ing]’ their consumers ‘protein choices’, mirrors Tyson’s move to invest in Beyond Meat. This suggests that meat companies are experiencing the effects of the public’s changing opinion on meat. Although some animal rights activists are still concerned about the ethics of lab grown meat, it could be seen as a stepping stone to reducing the harm caused to animals. If lab grown meat became popular, as big investors appear to believe it will, it could dramatically reduce the number of farms which would have a positive ethical and environmental impact. Paper Cups are really bad for the environment, Really? The following is a transcript of a speech given to Toastmaster’s International. Company names have been omitted. Doesn’t our company spend money on the stupidest things?! Below is a press release from May 2017. With that bit of corporate news, I would like to have a unilateral conversation with you on the debate of using paper cups. Love for coffee has a bigger price tag than meets the eye. The paper cups that are used when we ‘take away’ coffee are slowly building up and polluting our environment. Let not the word ‘paper’ fool you that it’s not as harmful as its plastic & foam counterparts. Most paper cups are coated with a petroleum based plastic resin which makes them more durable and prevents coffee from leaking. Further, the ink that’s printed on custom coffee cups does not bode well for our environment. According to “BLANK CO”, “Our 4,500 U.S. “BLANK CO” staff use more than 2 million paper cups per year.” I was astounded of that number (2 million) that we were using as an organization. If you consider that the average employee has 10 U.S. holidays and another 5 weeks paid vacation days, then it turns out that we consume 2 paper cups/day. I’m not sure about you, but that seems high to me. For example, I was using about 4 cups/week or about 0.8cups/day. · And just because the cup was made of corn-based plastics, doesn’t mean that it was fully biodegradable. Sometimes little plastics pellets remain after they’ve finished decomposing. · When they do degrade in a landfill, they produce Methane which is 20x more potent than carbon dioxide. And they produce carbon dioxide too. 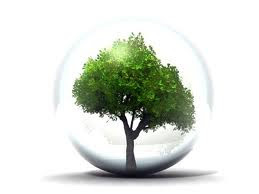 · Also, think of all of the natural biodiverse forests that were destroyed to plant more corn to supply the raw materials. This goes against the spirit of “BLANK CO”’s CSR policy on Palm Oil. · First of all, they require a significant amount of energy to produce. It takes 70x as much energy to produce compared to foam cups. · It takes significantly more energy to ship ceramic cups (as they’re so much heavier) and require more packing. · A ceramic cup must be used 118x before it breaks-even with its disposable counterpart. Some articles say that this number could be as high as 1000x, meaning you would have to clean your cup 4 years just to break even (in terms of energy efficiency). However, the average person works at a company less than 5. My solution is, well, I don’t have a particular one. What I do have are ideas. · Purchase paper cups that have a biodegradable lining. Yes, they’re more expensive, but not that much more (about 20-30% more). In conclusion, “BLANK CO” is honestly trying to reduce our environmental footprint. It tried by introducing bioplastic cups years ago, and more recently, by replacing paper cups with ceramic cups. I think the science is all over the place. What is clear is that we live in a decadent and spoiled society and asking us to use fewer cups (of ANY kind) would be a quick win. The probability of a SRI investor being a vegetarian is higher than for non-SRI investors. How much higher, I don’t know. But it seems logical that SRI investors that are more aware of the bigger society and negative derivative effects from large farm factories, etc. would be inclined to abstain from eating animals. Good evening fellow Toastmasters’ and guests. Tonight, I’m going to talk to you, perhaps convince you, or even better, inspire you to become a vegetarian. In my personal experience, people are extremely sensitive about what they eat so I wasn’t sure about speaking about this. I’d add “eating habits” to the list of taboo topics to bring up at a dinner party, like politics, religion and money. But wait a minute…..EVERYONE lately seems to be talking about Trump, so then maybe I can talk about my eating habits. I started being aware of vegetarianism when I was dating a girl who was one. For me, vegetarians were like other-worldly religions. I knew that they were out there, but I never had to think about it. My girlfriend was kind of preachy about it and her anti-American antics. The process of becoming a vegetarian was easier than I expected. What’s helped me become disciplined in many aspects of life is not becoming hung-up or guilty if I had wanted to eat meat on some days. Here is a list of pros/cons of why I am a vegetarian. o When I first realized, as a young boy, that my dinner was once a living breathing animal, like our family cat. I rationalized that they lived tranquil lives on pastoral farms, but in fact they lived in prisons called factory-farms. o I will not show you any gruesome photos. That, my friends, is only a Google search away. o It takes 2,500 gallons of water to produce one pound of beef and it takes only 220 gallons of water to make a pound of tofu. o Did you know that the livestock industry produces 18% of all greenhouse gases? That’s more than all forms of transportation COMBINED. 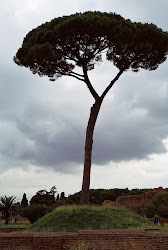 · You give up fast-food almost instantly. Few fast-food restaurants have veggie options. o When I good food shopping I have to read the labels carefully. The same thing goes when dining. I can’t simply order a French Onion soup because after doing some research I discovered it’s not just Onion and cheese. It has a beef broth base. Some of you may remember my first speech, the icebreaker, in which I described growing up in a “parochial” “small town” in the Bronx. There, parochial wasn’t just the name of the catholic school I attended but a way of thinking. I rarely questioned anything and was taught to be highly obedient to authority. But then something magical happened when I became a vegetarian… I starting thinking because I had to ! The process of identifying vegetarian ingredients in cookbooks, reading labels etc.., grew into questioning every page of my life. It was like Peeling an onion to find the truth. Since then, I’ve never looked back. When I delve into an issue, I don’t just look at it from a right angle. Instead, I look at it from all sides including secondary and tertiary affects. Hmm…maybe I should have changed the title of this speech from Why I became a vegetarian to How becoming a vegetarian changed my life. Our SRI Criteria: Positive screening for Corporate Governance, Environment, Labor, Diversity, & Community.